Something Delightful : Friday's Fancies! In relation to my "Recent Happenings" posts, when they fall on Fridays, they simply become "Friday's Fancies!" That makes sense, right? I share so many of my favorite things, thoughts, and findings on Instagram. So, if you follow me and have already seen these, here's a little story behind each one. I received a pair of the Hunter Boots from the Tour collection for Christmas…I. Am. In. Love. with them! Yes, they're packable and easy for travels, but they're so breathable and flexible when wearing them. This makes them so much more comfy than the regular Hunter Boots. Jaycee wanted me to share her new Land's End carrying bag with everyone! Actually she didn't, but I want to simply because it's amazing. It's spacious so that she can get comfortable. There's also enough room for me to stuff a small blanket inside making it extra soft for her. She loves to go places and I love to take her along, so this makes life a little more exciting for both of us. It's adorable, affordable, and super on sale right now. During the cold weather, I adore a cup of hot tea! I like Earl Grey. 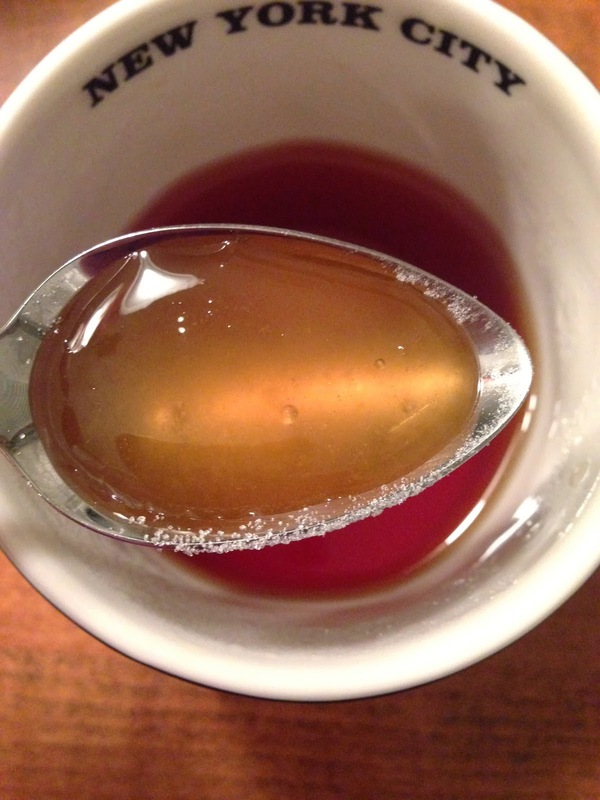 I prefer it to be rather sweet, so after I make it, I add two teaspoons of sugar, a teaspoon of honey, and a dash of lemon juice. YUM! I have a thing for cute wrapping paper. I spend much time around cute paper and gift wrapping since I work at The White Crane. Wrapping gifts is basically second nature to me. So, every time I need to wrap a gift, I have fun with it! I came across this cute pink and gold polka dot paper at Target (I don't see it online, though). I mean how adorable it is! I hope you enjoyed a few of my favorite things. Have a fabulous Friday! I'm a huge fan of hot tea! Have you ever tried using loose tea and an infuser? I also love that cute wrapping paper and I never would've known that your Hunters were the Tour ones if you hadn't have said anything. It's so neat that they fold up. Happy Friday! I love all of the pics! 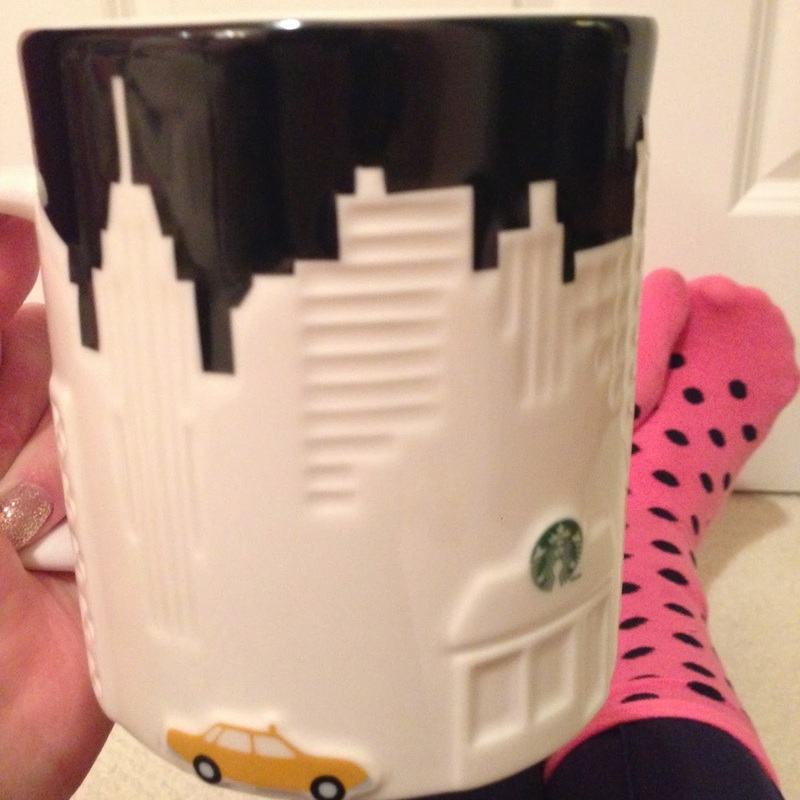 That Starbucks mug is too cute! I got the Lands End doggie carrier for one of my pugs too! So cute, huh?! I just wish it had a little more cushion in it. Jaycee looks adorable and so comfy!! When it gets cold out, I love to unwind with some hot tea too! I've been lately really liking green tea. Everything is so cute! I love how you take all of your photos! I do like your Wellingtons they look uber comfy and it will be lovely to see you wearing them you will look really yummy. I'd love to buy Hunter boots too! They seem to be the perfect boots for rainy days in Switzerland.